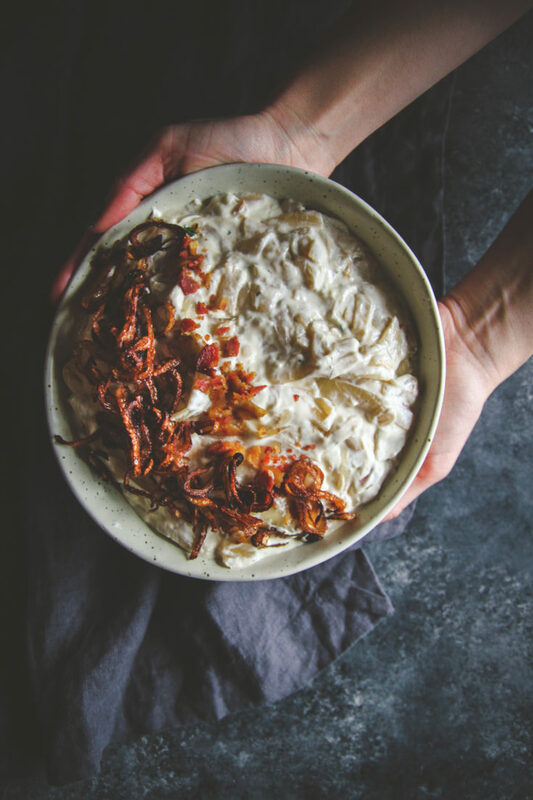 Today I’m sharing how to make easy french onion dip from a packet vs. how to make homemade french onion dip from scratch (also known as caramelized onion dip)!! 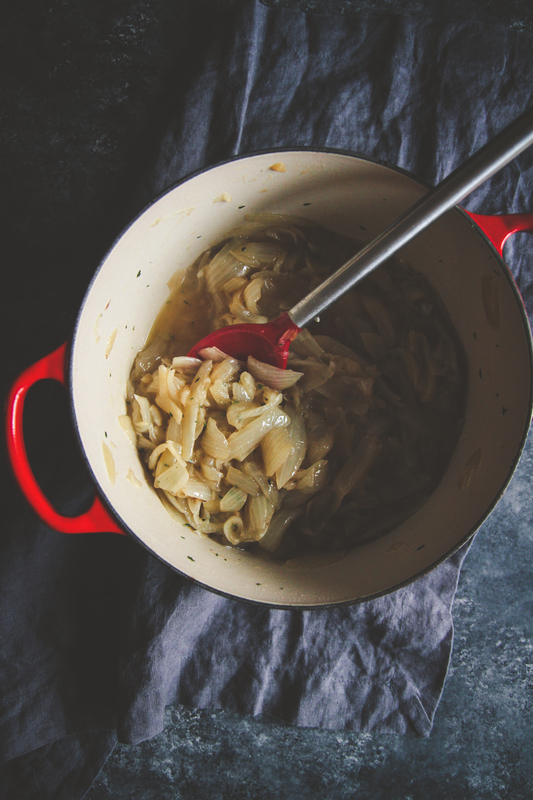 That’s right, this post is all about the delicious french onion dip we all know and love! Do you ever look at a recipe and get so excited to make it but then quickly find out that it is taking way longer than you thought to make?! Well, this is exactly what happened to me when I ran across a recipe for caramelized onion dip in Martha Stewart’s Appetizer’s cookbook. The recipe looked easy enough, but as soon as I dove in and started working on it, I could tell it was going to take longer than I expected. I mean, it took SO long to make! Something like 2 hours! It definitely wouldn’t work for me when I’m trying to come up with a quick dish to bring to a friend’s house. It could also be user error, I hate cutting onions so I would cut an onion, walk away crying, come back and cut another onion lol. The recipe calls for 3 pounds of onions, so that was a lot of chopping, then caramelizing onions takes forever. 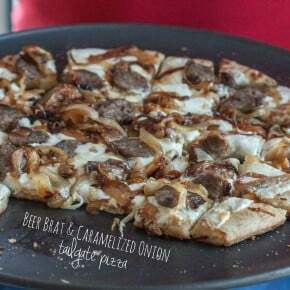 When I did finally finish it, it was super tasty, of course, so if you have time to enjoy the process, use the recipe from for homemade french onion dip, I like saying I have made it once. 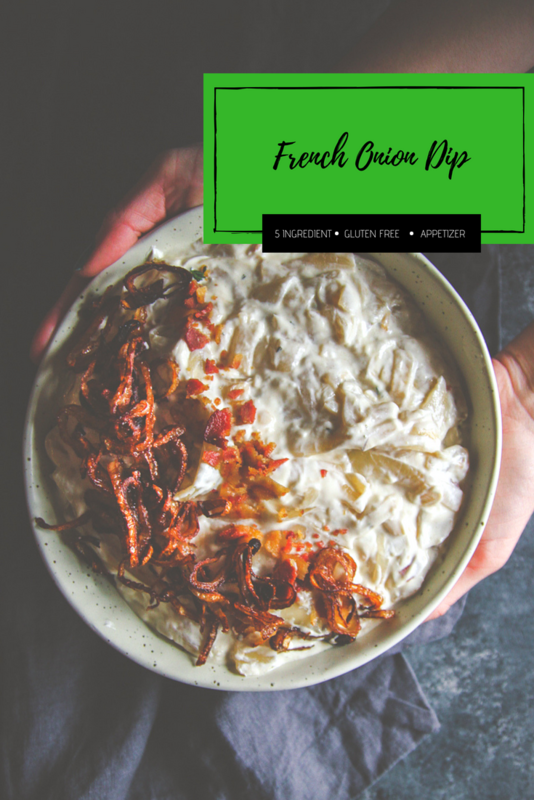 Luckily, I was telling a friend about this whole dip making adventure and she shared a great family recipe for a super quick french onion dip from a packet! Ok, it’s not quite the same as a homemade dish, but it’s fabulous in a pinch. If you’re in a hurry, the recipe for french onion dip from a packet is ready in a flash and super delish! 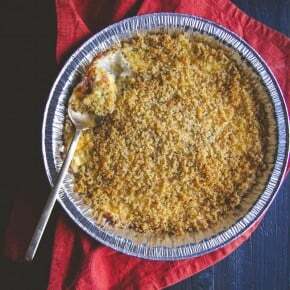 The total time to make this dip is less than 5 minutes. That’s what I’m talking about. And, more than that, I love when recipes come with a story. 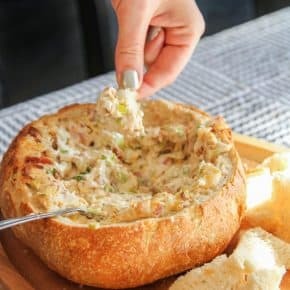 Although this is a super simple french onion dip made from a packet, my friend has memories of making this at every family function – it started when they used to live in California and would make this when watching football games and it has since turned into a request every time a friend comes over. Now, each year at Christmas, when the family gets together, there is a discussion of who is bringing the “California dip.” How cute is that? I get a lot of requests for dishes to bring to parties so I hope either one (or both!) 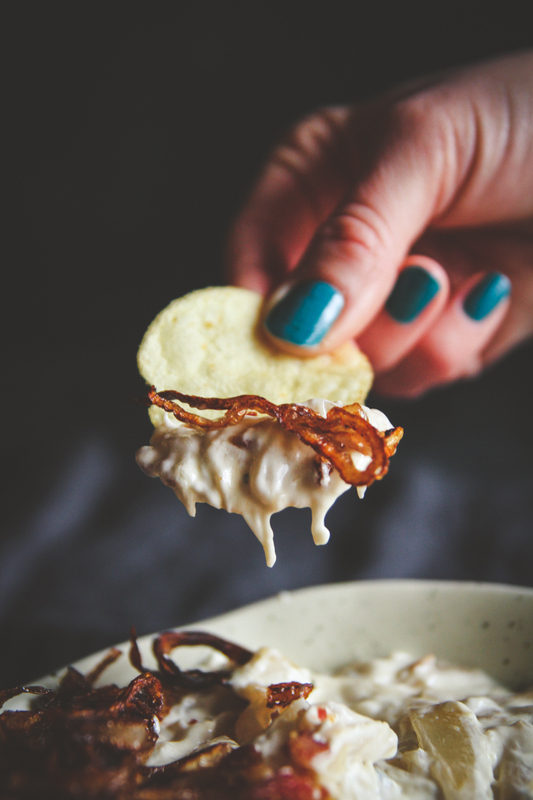 of these french onion dip recipes work for you! I’d love to hear which one you try and what you think of it in the comments section below. Heat olive oil in a large skillet. Add onions and salt. Cook onions over low heat, stirring occasionally, until they are soft and deep golden in color, about 1 hour. Add water if needed. Add the vinegar in the last minute of cooking. Cool to room temperature. 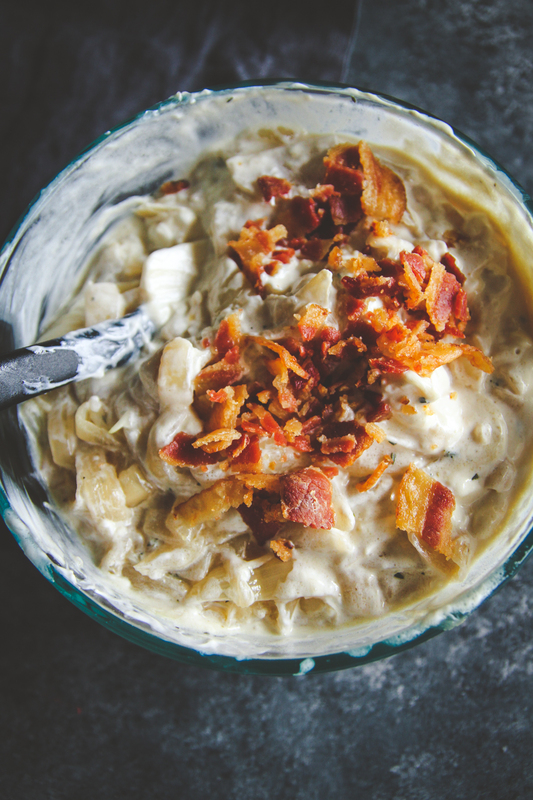 In a large bowl, stir together the mayonnaise, sour cream, onions and bacon. Add vegetable oil to the skillet with bacon fat. Reheat on medium-high until the oil shimmers. Add the shallots, lower the heat, and cook until golden brown, stirring occasionally, about 2 minutes. Drain, and garnish with fried shallots. This makes a lot of dip! 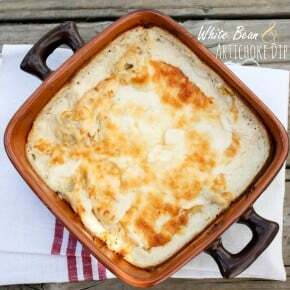 Since the french onion dip made from a packet only has three ingredients (French onion soup mix, sour cream, Worcestershire sauce) it makes it perfect for a Five Ingredient Friday recipe! I’ve definitely found myself in that spot – “Wait….this is taking too long….” 🙂 Love the quickie version! Haha…right? An hour in I was like ummmm this is not going to work for me. But the quick version is sooo good!